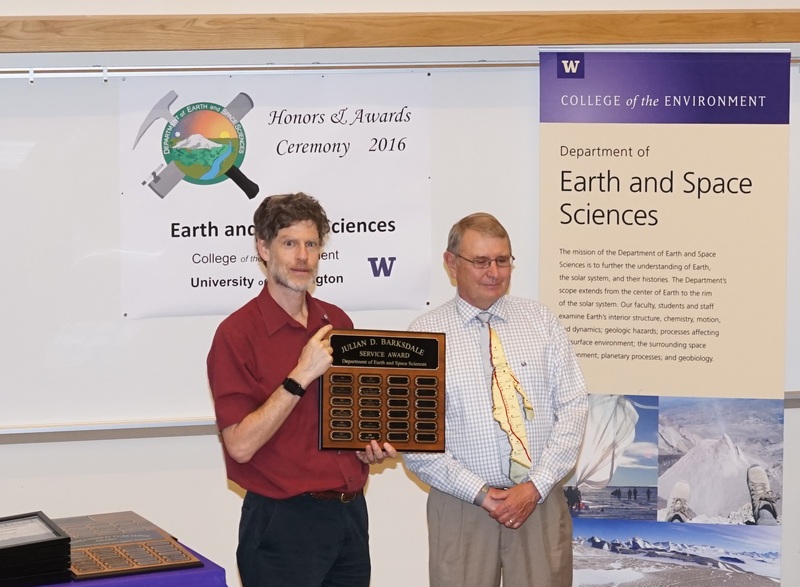 The 2016 Honors and Awards Ceremony was held on Thursday May 16th at 3:30 pm in JHN-102, hosted by ESS Chair Bruce Nelson. There were numerous honors, awards, and scholarships given during this ceremony before adjourning to a reception in the Johnson Hall Courtyard. 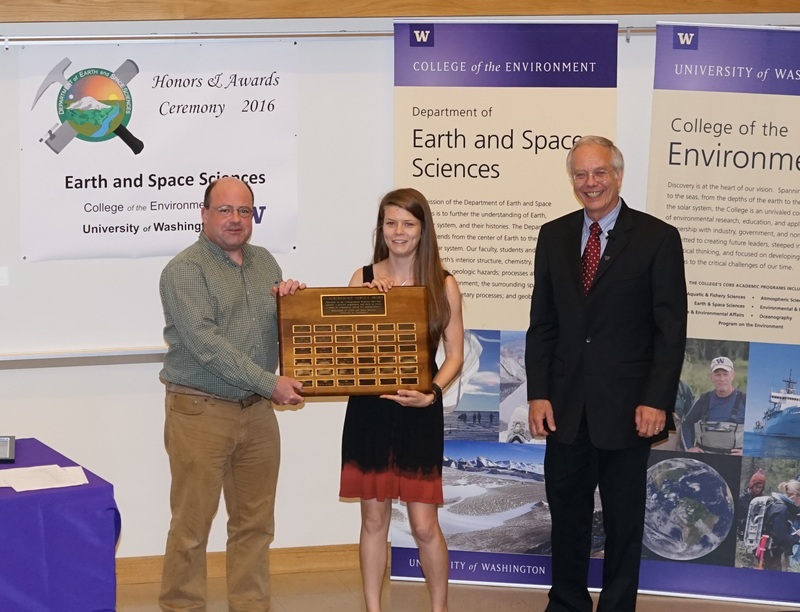 Cleo Woodcock receiving the Undergrad Service Award from Gerard Roe and Bruce Nelson. 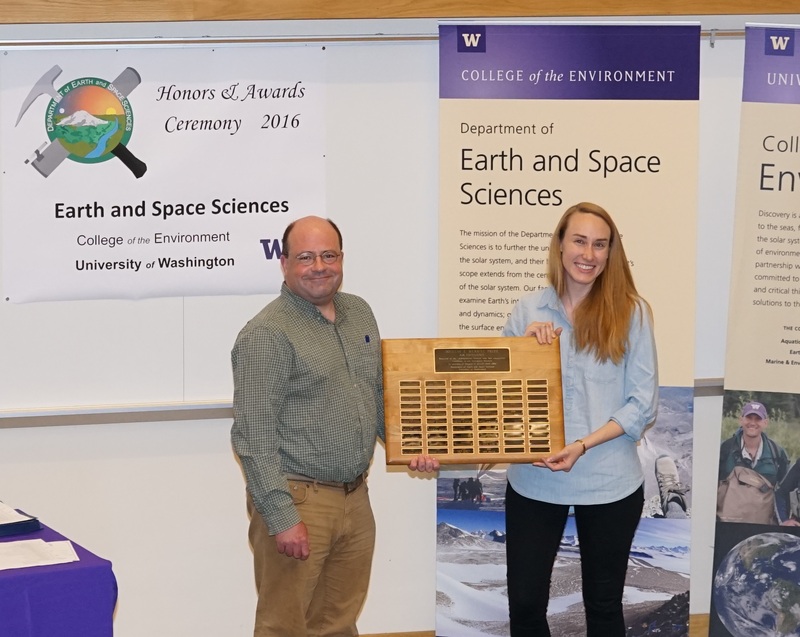 Brittany McManus receiving the Merrill Prize for Excellence from Gerard Roe. 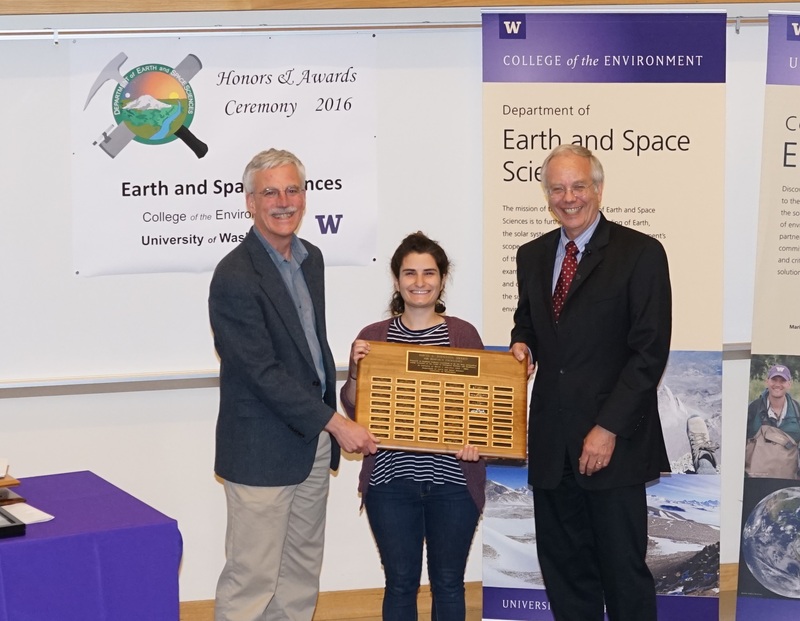 Elena Amador receiving the Johnston Prize for Research Excellence from Ken Creager and Bruce Nelson. 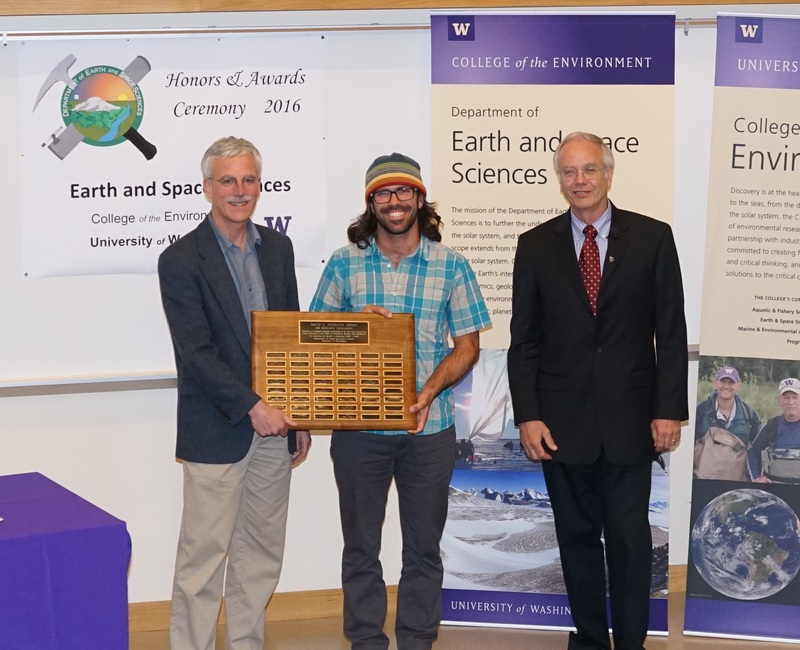 Bradley Markle receiving the Johnston Prize for Research Excellence from Ken Creager and Bruce Nelson. 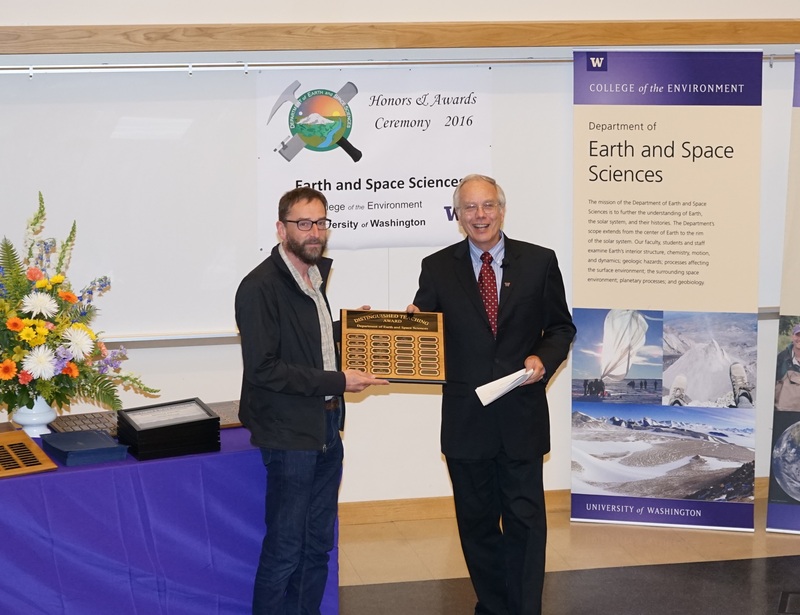 Eric Steig receiving the Bassett Faculty Teaching Excellence Award from Bruce Nelson. John Vidale receiving the Barksdale Service Award from Tucker Barksdale. 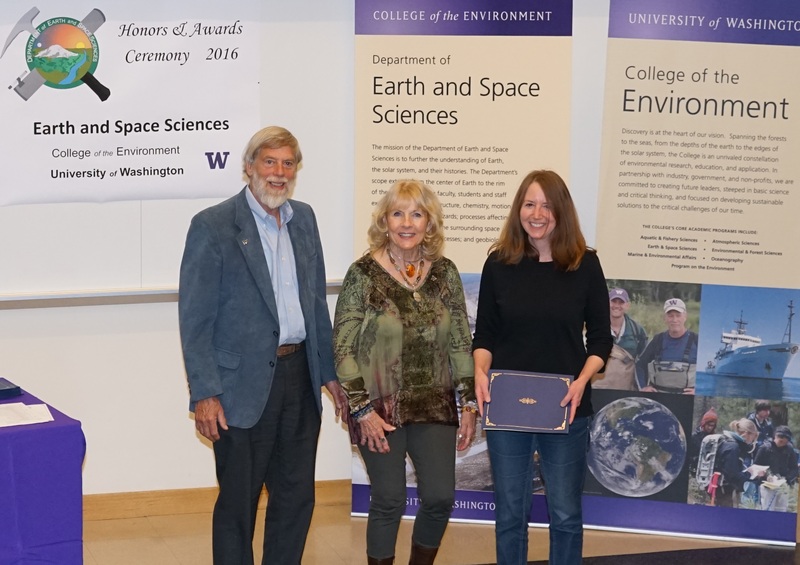 Nancy Sackman receiving the North Seattle Lapidary & Mineral Club Award from Marcia Skinner and Rick Fogel.